Permanent Blogroll on FINANCE Backlink is a good way to start. In this gig we will add your URL to 7 sites FINANCE NICHE High Domains Authority backlinks. 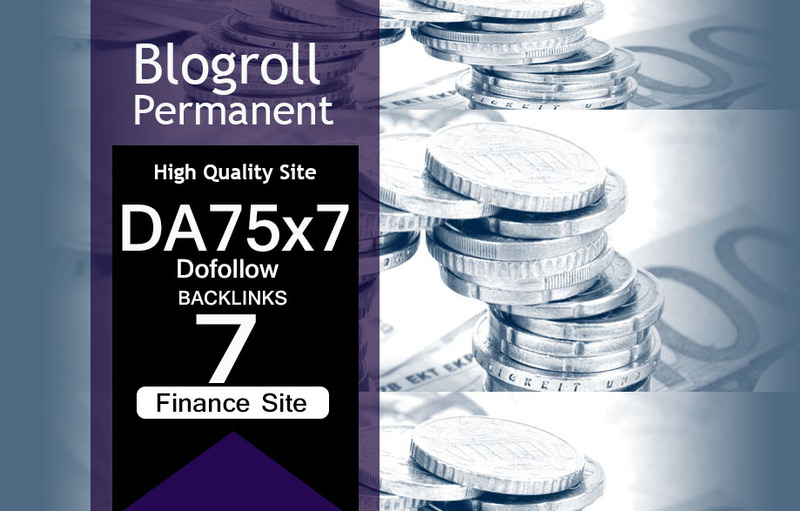 Give Link Da75x7 HQ Site Finance Blogroll Permanent is ranked 5 out of 5. Based on 1 user reviews.